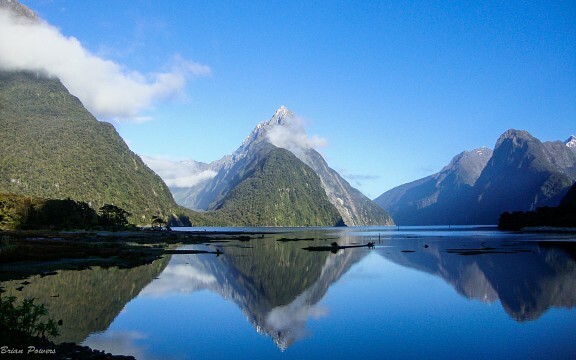 New Zealand tops the travel bucket list for many travellers, and for good reason. Its unparalleled scenery offers something for everyone: from the Lord of The Rings fans and mountain climbers, to beach bunnies, surfers and city slickers. The North Island is home to the most populous city Auckland, capital Wellington, the subtropical paradise of the Bay of Islands, as well as Rotorua, where you can experience the thriving indigenous Maori culture. 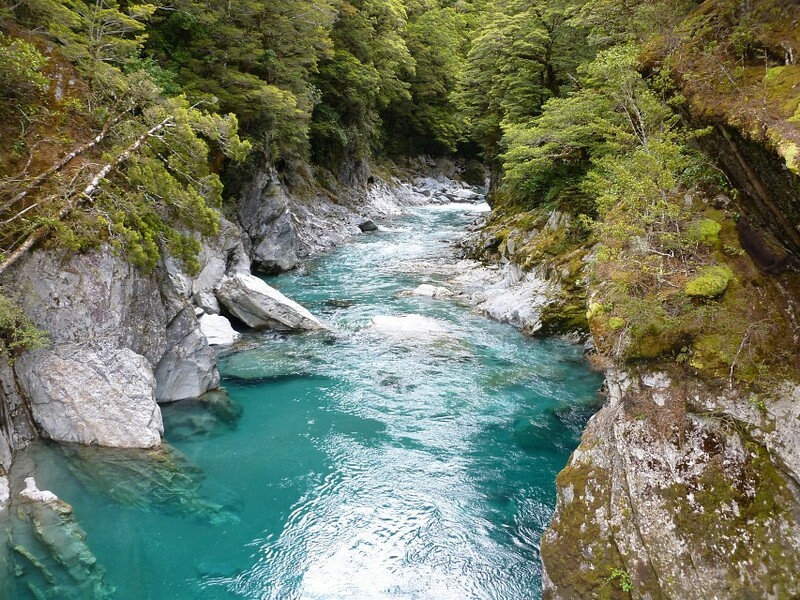 The South Island is for wildlife buffs, with breathtaking mountain ranges, plains and beaches, National Park hikes and fjords. Away from the great outdoors, New Zealand is also home to arguably the world’s best coffee, when in town you must try the New Zealand favorite ‘flat white’ – like a latte, but with less foam. And beware, coffees are double shots here. We like to stay buzzed so we can take in all our beautiful country has to offer. Make like a local, and you won’t want to sleep either. There is too much to see and experience in this country known as “Godzone”. New Zealand was first discovered and settled by Polynesians around 700 years ago, who developed a distinct culture that came to be known as Maori. 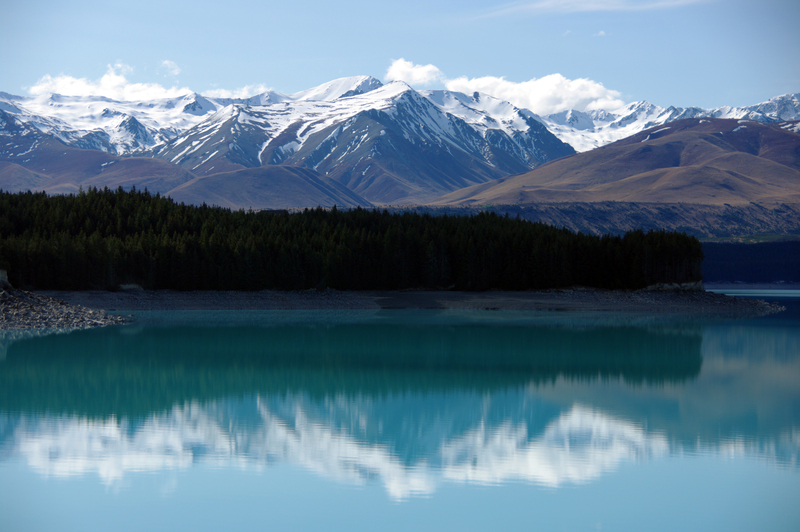 New Zealand is called “Aotearoa” in the Maori language, meaning “land of the long white cloud”. 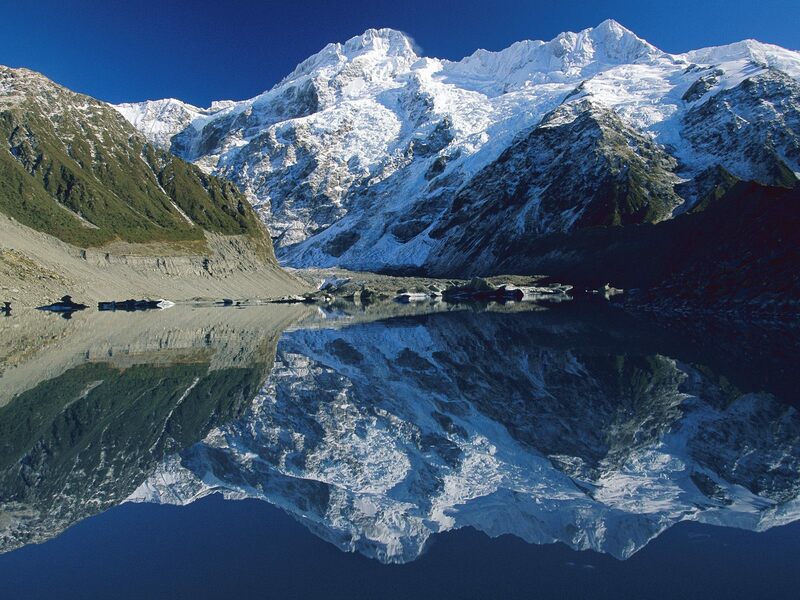 Abel Tasman was the first European explorer to discover New Zealand in 1642. It wasn’t until 1769, however, that Captain James Cook set foot on New Zealand ground. From the late 18th century onwards, explorers, sailors, missionaries and traders began to arrive in New Zealand. In 1840 the Treat of Waitangi was signed between the British Crown and various Maori chiefs, officially bringing New Zealand into the British Empire and giving Maori “equal rights” with British citizens. Through inconsistencies in the English and Maori language versions of the treaty, British settlement extended throughout the country to the detriment of many Maori, who became impoverished through unfair deals for their land. New Zealand retained strong ties to the British Empire into the 20th century, and when World War I broke out, New Zealand sent troops in defense of the British Empire. This support continued in World War II, with New Zealand contributing some 120,000 troops. In the middle of the 20th century Maori began a significant process of urbanization. A Maori protest movement developed, protesting injustices in the Treaty that had carried over into unfair social and economic conditions. This movement led to greater recognition of the Treaty in the late 20th century. The later part of the 20th century saw the deregulation of the economy in the 1980s, as well as increasingly close ties with the United States and Australia. New Zealand is an island nation in the southwestern Pacific Ocean. It comprises two main islands: the North Island (know as Te Ika-a-Maui in the native Maori language) and the South Island (Te Waipounamu). There are numerous other small islands. New Zealand is located 932 miles east of Australia, with the Tasman Sea between the two countries. 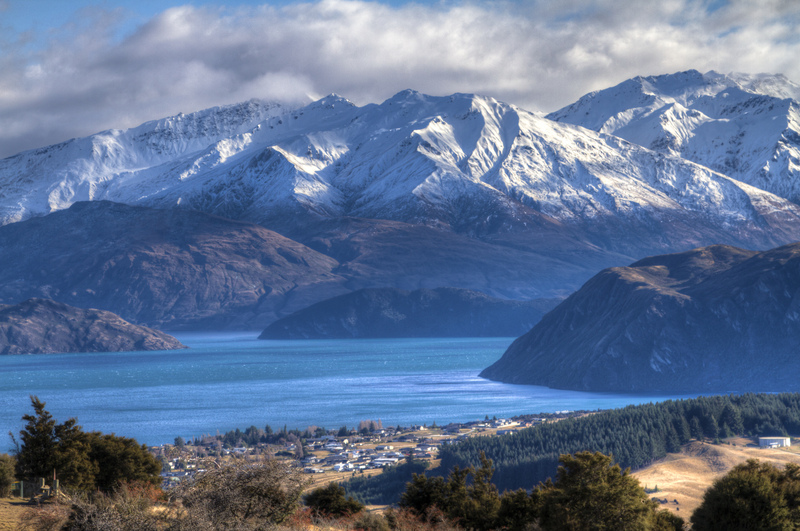 New Zealand is largely mountainous, but is also home to agricultural plains, extensive beaches, and beautiful lakes. The sharp peaks of its mountains are formed by the tectonic uplift of the earth’s plates below the country, and earthquakes are common. Because of New Zealand’s isolation, and the long time before its settlement by humans, it has developed a distinctive biodiversity of animal, fungal and plant life. 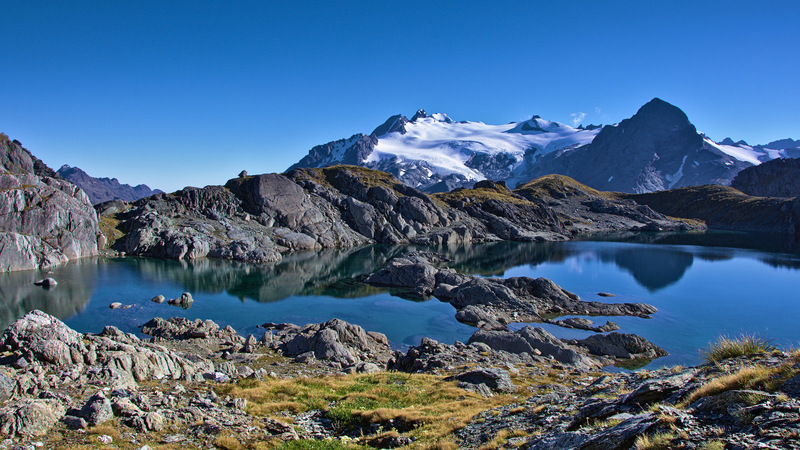 New Zealand has a mild and temperate maritime climate, with summer and winter temperatures varying by only 10 to 59 °F in most of the country. Northern regions are subtropical, with extremely mild, sunny weather. Further south can be much cooler, although even Central Otago consistently reaches 86 °F in summer. Conditions vary significantly depending on the region: the West Coast of the South Island, for example, receives high annual rainfall, while the Mackenzie Basin of inland Canterbury is almost semi-arid. General advice for travellers: wear layers to cope with any eventuality, and bring a rain jacket with you! The capital of the country is Wellington, while the most populous city is Auckland with a third of the country’s population. The country’s population is today 4.5 million, with the majority of European descent. Indigenous Maori are the largest minority, followed by Asians and Pacific Islanders. The official languages are English, Maori and New Zealand sign language. New Zealand has a constitutional monarchy, with Queen Elizabeth II as the head of state. The Governor-General represents her in New Zealand. 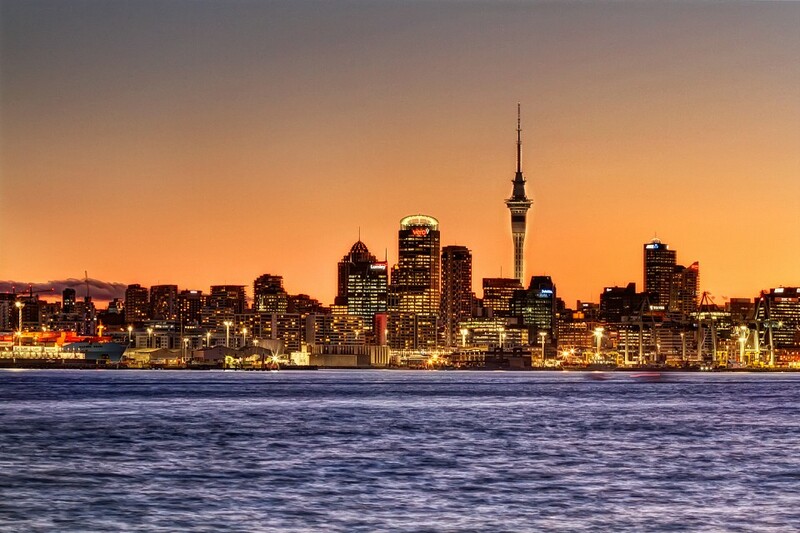 Auckland is New Zealand’s largest city, and routinely ranks in lists of the world’s most liveable cities. It is the largest Polynesian city in the world, and is known as “the city of sails”. It has more boats per capita than anywhere else in the world. Stop by the Sky Tower, the country’s tallest man-made structure that dominates the city’s skyline. You can even jump the 630 feet from the top down to ground level (attached to a heavy duty wire, of course). Queen Street is the hub of Auckland, with cafes, shops, restaurants and nightlife. For your dose of museums, try the Auckland War Memorial Museum, the New Zealand Maritime Museum, the National Museum of the Royal New Zealand Navy, and the Museum of Transport and Technology. The Auckland Art Gallery is also home to a stunning collection of over 15,000 artworks, with prominent New Zealand and Pacific artists. If you’re in town with good timing, you might catch one of the cities popular festivals: the Auckland Festival, the New Zealand International Comedy or Film Festivals, Pasifika Festival, Polyfest or the Auckland Lantern Festival. Around Auckland are some pretty spectacular beaches and swimming spots, including Mission Bay, Kohimarama, Devonport and Takapuna. Grab your surfboard and catch a break out west at Piha, Muriwai or Bethells Beach. Wellington boasts more cafes, bars and restaurants per head than New York City. It is well known for its “café culture”, with a plethora of top quality cafes serving piping hot, strong coffees to suit-wearing public servants and alternatively dressed hipsters alike. Located on the Wellington waterfront, Te Papa is the national museum of New Zealand. The museum exhibits New Zealand’s diverse history, as well as showcasing beautiful paintings and artwork by New Zealand and touring artists. If you’re in town during February, don’t miss New Zealand’s biggest dress-up party at the Wellington International Sevens Rugby Tournament. Under the guise of a sporting event, Wellingtonians and New Zealanders from across the country converge on Wellington with elaborate dress-ups. The event averages over 30,000 attendees annually. Christchurch is New Zealand’s second-largest city, and the largest city in the South Island. Known as the ‘Garden City’, Christchurch combines the beauty of historic colonial buildings with natural wonders, including beaches and mountains within a couple of hours of each other. Tragedy struck in early 2011, when a 6.3 magnitude earthquake ripped through the city center, killing 185 people. After a slow start to the reconstruction, the city is springing back to life, with a revitalized city center, alongside thriving and innovative startup businesses and tourist attractions. At the center of the city is Cathedral Square, home to the landmark Anglican Christ Church’s cathedral. The cathedral was severely damaged in the 2011 earthquake and is slated for demolition, although court action by some who want to see the cathedral restored has so far halted demolition work. The transition “Cardboard” Cathedral occupies the site of the former St John’s Latimer Square Anglican Church. Designed by Japanese architect, Shigeru Ban, the Cathedral is constructed from cardboard tubes, timber beams, structural steel and concrete. The colorful and unique building hosts concerts, exhibitions, and civic and community events. Take a stroll through the expansive Hagley Park in the heart of the city: 165 hectares of gardens, lawns, sports fields, century-old trees and the Christchurch Botanic Gardens. Stop by the Canterbury Museum, situated in beautiful historic building, which is home to outstanding Maori and early European exhibits. Christchurch is also know as the gateway to the Antarctic. Christchurch International Airport serves as the major base for the New Zealand, Italian and United States Antarctic programs. The International Antarctic Center hosts a museum and visitor center showcasing Antarctic activities. The second-largest city in the South Island, Dunedin’s strong Scottish heritage and large student population make for a unique personality that guarantees a fun time. Fun fact: Dunedin is the furthest city in the world from both London and Berlin. Dunedin is home to the world’s steepest street, according to the Guinness Book of Records. Baldwin Street, located in North Dunedin, is a fully functioning suburban street, and you can walk, run, or drive to the top. New Zealand’s only castle, Larnach Castle, and has sat high above the Otago harbor since 1871. The Victorian castle is known for its beautiful gardens and grounds, as well as being the perfect spot for high tea. If you’re still feeling historical, pop into Olveston House, a historic 35 room home showcasing stunning Edwardian design, and an accurate display of New Zealand life in the early 1900s. Be sure to head out of the city to catch some of the wild and beautiful coastline around Dunedin. The most popular spot is St Clair, a beautiful white sandy beach with nothing between it and the Antarctic. Boasting New Zealand’s most consistent surf break, St Clair is the perfect place to learn to surf for the first time – just bring your wetsuit, as the cold of the water can test even the most hardy of souls. Rated by the Lonely Planet travel guide as the fifth best destination to visit in the world in 2016, Waiheke Island is a haven of stunning beaches, picturesque vineyards and olive groves. Eighteen kilometers from Auckland city by ferry, the island is a popular day or weekend trip for Aucklanders – or ‘JAFAs’ (Just Another F***king Aucklander) as they are less than affectionately known by the rest of the country. For a dose of culture, stop by Waiheke Island Artworks, a complex comprising a theater, community cinema, art gallery and museum. The real reason visitors frequent the island, however, is the wine. Waiheke’s most famous vineyard is Stonyridge, which produces vintages that have ranked alongside the very best worldwide. Cable Bay Vineyard is an architectural gem, while Poderi Crisci is home to traditional Italian varietals. Not only a hotbed of geothermal activity, Rotorua’s rich indigenous Maori culture will enchant you. Early Maori revered the Rotorua region, naming one of the most spectacular springs “WaioTapu” (sacred waters). Today 35% of Rotorua’s population is Maori, making it one of the hubs of Maori culture in New Zealand. 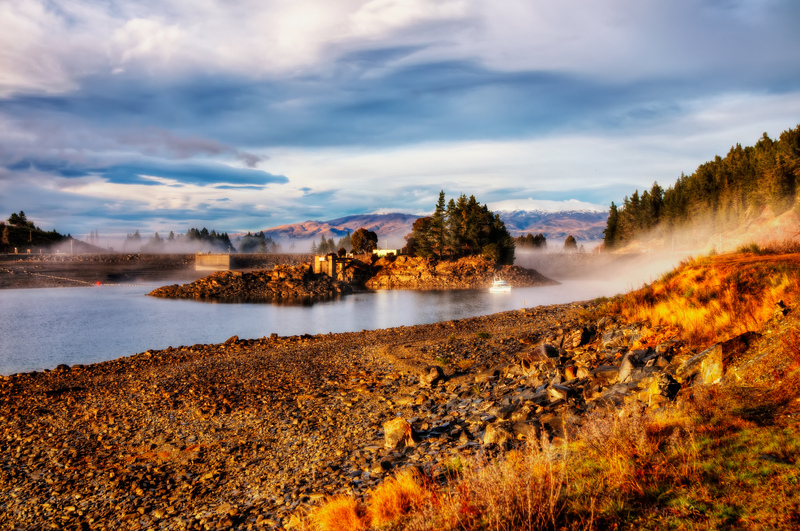 Rotorua is part of the Volcanic Zone, a geothermal field extending from White Island off the Bay of Plenty coast to Mount Ruapehu in the central North Island. The dynamic geology is due to the positioning of the North Island above an active plate boundary: the Pacific tectonic plate being subducted beneath the Indo-Australian plate. This process involves very active plate movements, which not only cause volcanic eruptions, but earthquakes. Te Whakarewarewa, or “The Living Thermal Village”, visitors have been welcomed for over 100 years. Located among a seemingly hostile geothermal landscape, the people of Tuhourangi Ngati Wahiao have made their home among the geysers, bubbling hot pools, thermal springs and steaming fumaroles. Te Whakarewarewa features more than 500 springs, the most famous of which is Pohutu (meaning ‘Big Splash’ or ‘Explosion’), a geyser that erupts up to 20 times a day, spurting hot water up to 98 feet skyward. Rotorua’s most active geothermal park is named Hells Gate, a name given by Irish playwright George Bernard Shaw, after he was so moved by the raw power of the earth in this place, he believed he had indeed arrived at the gates to Hell. The park is steeped in Maori history, as well as being home to erupting pools and a hot waterfall. New Zealand has a largely secular culture. In the 2013 census, 55% of the population identifying with one or more religions, with 49% identifying as Christians. 42% indicated they had no religion. The main Christian denominations are Roman Catholicism (13%), Anglicanism (12%) and Presbyterianism (9%). Although not perfect, New Zealand’s race relations are a pretty good example to the rest of the world. In the late 20th century the indigenous Maori culture experienced a resurgence, with many rediscovering their Maori heritage, and Te Reo Maori (the Maori language) being taught in every primary school. The Waitangi Tribunal was also established to hear grievances Maori tribes had against the Crown arising from the Treaty of Waitangi and its breaches. Many Maori tribes now manage wide and valuable business interests. Sport is hugely important in New Zealand culture. The national team is the ‘All Blacks’ rugby team, who are the current world champions. For a true taste of New Zealand head along to an All Blacks game in a black jersey, and experience the awe of the pre-game haka – a traditional Maori war dance. New Zealand’s economy is a prosperous and developed market economy, with gross domestic product (GDP) per capita sitting around $42,000. The currency is the New Zealand dollar. Historic industries included sealing, whaling, flax, gold and native timber. With improvements in refrigeration, the dairy and meat industry began to boom in the late 19th century. Today the country’s main exports are dairy products, meat, and wine, alongside a thriving tourism industry. 6 February – Waitangi Day marks the day the Treaty of Waitangi was signed in 1840. 25 April – ANZAC Day is a national day of remembrance in both New Zealand and Australia that commemorates the troops of the two countries who served and died in all wars, conflicts and peacekeeping operations, and the contribution and suffering of all those who have served. First Monday in June – the birthday of Queen Elizabeth II is celebrated. You won’t see many overt celebrations however – it’s more just a bonus day off for New Zealand workers. New Zealand’s food is a fusion of many cultures, owing to the country’s young age and the many different immigrant groups that make up the population. Until the late 20th century the English style “meat and three vegetables” dominated New Zealand meals, but the latter years of the 20th century saw an explosion in popularity of Asian and European cuisines. Latin American food is becoming increasingly popular, with everything from Mexican, Argentinean and Peruvian food available. The traditional Maori hangi style of food is still popular. A pit is dug in the ground, and a fire is built to heat stones that are placed in the pit. Baskets of vegetables and meat are placed on top of the stones, before being covered with earth for several hours before uncovering the hangi. New Zealand has a strong café and coffee culture, and you will not be in short supply of great coffee. Even gas stations serve up a decent cup! Most common are ‘long blacks’ – a black espresso with added hot water, and ‘flat whites’ – espresso with frothed milk added (less foam than a latte). 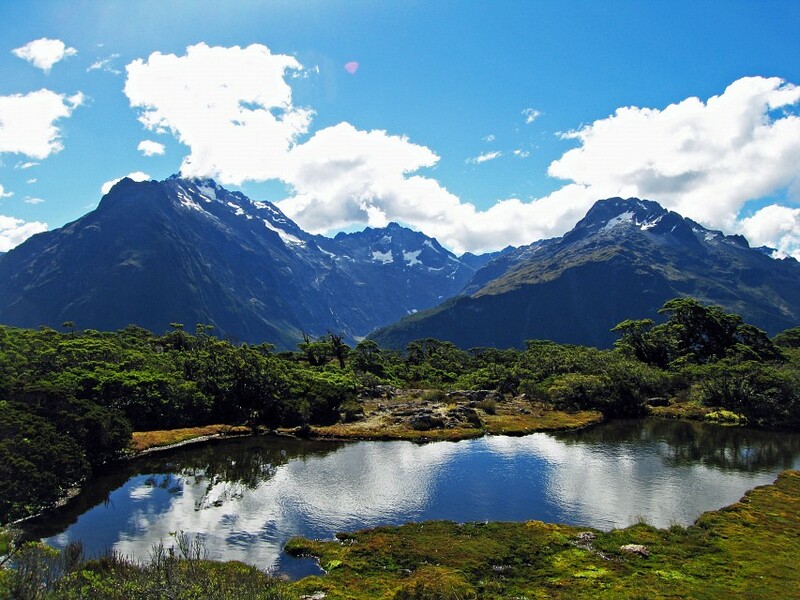 New Zealand’s incredible beauty and varied landscapes make it a spectacular destination to visit at any time of year. •	Summer (December to March) – long, bright and sunny days, ideal for visiting the country’s beautiful beaches or enjoying some of the many outdoor activities, such as hiking and mountain biking. 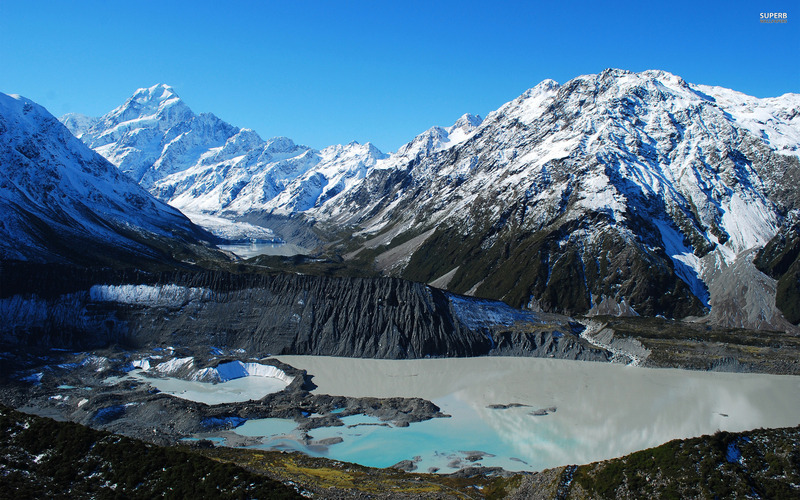 •	Winter (June – August) – snow is present in many areas of the South Island, as well as the mountainous areas of the North Island. The perfect time to hit the ski slopes. •	Spring/Autumn (September to November, April to May) – enjoy the mild weather and fewer visitors to check out the incredible foliage (don’t miss the daffodils in Christchurch’s Hagley Park in spring! ), although a sprinkling of rain and a little wind can be expected. Due to long distances between destinations and a lack of good public transportation, many New Zealanders own private vehicles. Many tourists choose to hire a vehicle and make a road trip through the country. Remember that in New Zealand, cars drive on the left hand side of the road. Air New Zealand is the national airline, offering international connections to Australia, Asia, the Pacific, the United States and South America, as well as an extensive network of domestic routes. Other competitive airlines operating domestic routes include Jetstar. Larger cities operate a fairly good public bus system, which you can either buy a prepay card for, or pay the driver in cash when you get on. Intercity runs a fairly extensive and regular bus service between most cities and towns across the country. 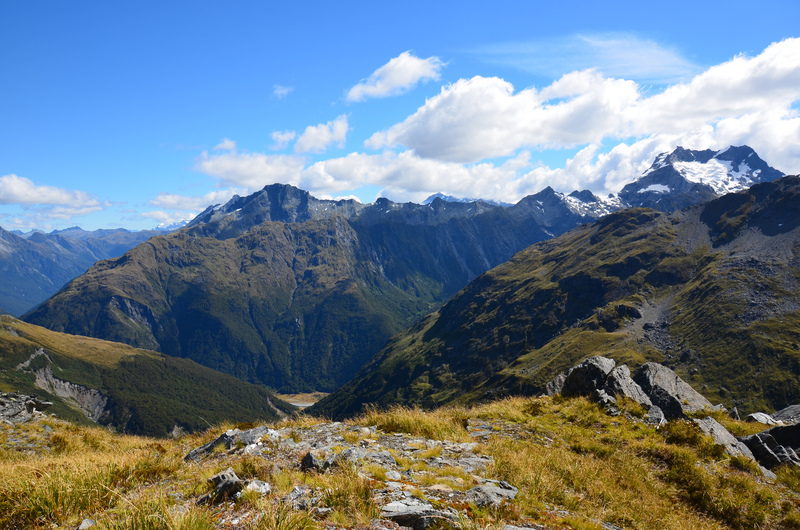 New Zealand is typically a very safe place for tourists to visit, with overall crime rates low. As with anywhere, however, there are always crimes of opportunity, so take the usual precautions such as always locking your car, keeping your valuables with you, and not walking alone late at night. A day at the beach is a national pastime, owing to the extensive coastline the country has. While many New Zealanders learn to swim at an early age, rough sea conditions and rips can catch even the most experienced swimmers unaware. During summer lifeguards patrol popular beaches, so make sure to swim between their colored flags to ensure you will be safe. An excellent part of New Zealand is that there are no inherently dangerous animals to speak of. No snakes, scorpions, wolves… you can happily pitch a tent outside and sleep without worry! Just be careful with your rental car in mountainous areas – the native kea parrot is notorious for picking the rubber linings off car windows and windscreen wipers! Sandflies and mosquitos can be a bit of a bother, so be sure to bring insect repellent if you plan on spending time outdoors during the twilight hours. In case of emergency, dialing 111 will connect you to emergency services (fire, police and ambulance). •	New Zealand was the last major landmass to be populated. •	In 1893 New Zealand became the first country in the world to give women the vote. •	Sir Edmund Hillary – the first man to reach the peak of Mount Everest (alongside climbing partner Tenzing Norgay) was a New Zealander, and his face is on the New Zealand $5 bill. 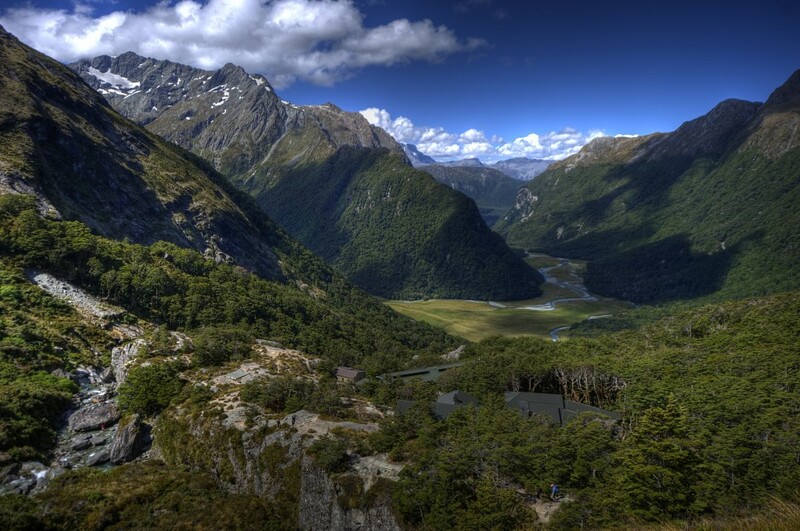 •	New Zealand was the location of much of the scenery in the Lord of the Rings and The Hobbit movie trilogies. Over 150 real New Zealand locations were used from the rolling green hills of Matamata in the North Island (Hobbiton), to Queenstown’s mountain range the Remarkables (Dimrill Dale). •	The word “Kiwi” has multiple meanings: the native flightless bird, kiwi fruit, and also a slang term for a New Zealander. •	New Zealand is a plastic nation – many financial transactions are made with a card – credit or otherwise. Most shops offer EFTPOS (similar to the UK Chip and Pin) and cash is seen less and less.